All inputs are protected to the 2nd edition of ANSI/ISA S82.01 and EN61010-1 CAT IV 600 V and CAT III, 1000 V. They can withstand impulses in excess of 8.000 V and reduce risks related to surges and spikes. Until now, there hasn't been a multimeter able to accurately measure adjustable speed drives. 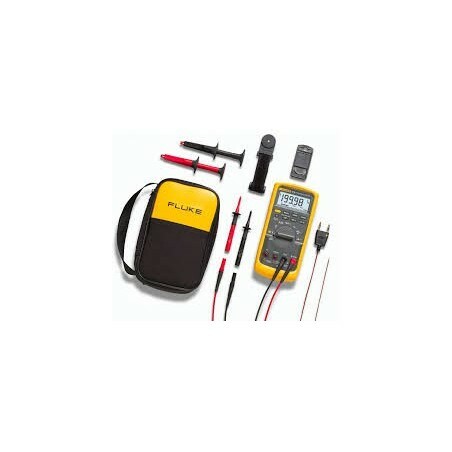 But the Fluke 87V is designed specifically to handle these complex signals. Think of the potential productivity you'll gain by taking the guesswork out of drive system troubleshooting. Measurements are correct each and every time. 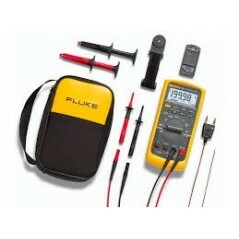 Complex PWM drive signals are not a problem for the Fluke 87V. Pulse-width modulated detail of 50 Hz motor drive output voltage. 1000 V, 50 micro-second pulses can cause erratic behavior in some test equipment.